Find the course you want to order in this list which is arranged alphabetically according to course number. Scroll down until you find this course, or search for the course name by pressing ctrl-f on your keyboard. There you will discover a course description, along with the first few pages of the syllabus and sometimes there will be testimonies from students who have taken the course. Click on the checkbox next to "Order this course" which is immediately underneath the course description, and then scroll to the bottom of the page to complete the rest of the form and submit your order electronically. Enroll in CLU and take the one required prerequisite course titled “Communion With God.” This course equips you to fully benefit from our Revelation-Based Learning methodology! Enroll in CLU here, and order the “Communion With God” course near the end of the application form. The course “Communion With God” is the first course required of all CLU students. It provides the necessary foundation of training you to clearly hear God’s voice, see vision and do two-way journaling. All other CLU courses are built upon this foundation. After taking the Communion With God course (or together with the CWG course), you are free to take additional class(es) as you desire. Follow your heart in course selection. 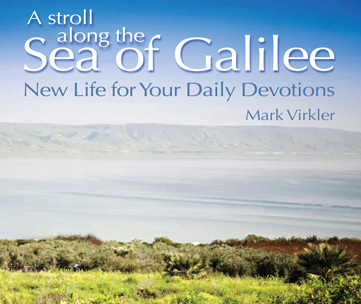 Communion With God Course Description: Did you know that God is always speaking to you? Do you know what God’s voice sounds like? Wouldn’t it be wonderful to clearly hear God’s voice every single day for the rest of your life? You find yourself receiving daily counsel from the Wonderful Counselor Who teaches you how to live in faith, hope and love and Who guides you in cultivating great relationships with family and friends. 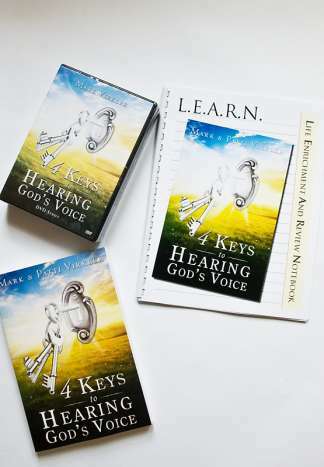 Discover divine patterns for approaching God and four vital keys that will allow you to clearly hear God’s voice every day. Intimacy with God will be enhanced and you will learn how to discern God’s voice from other voices which clamor for your attention and how to record what God reveals to you using two-way journaling as you confirm it through a variety of methods. You WILL experience Jesus’ guarantee that, “My sheep hear My voice” (Jn. 10:27). Your life will be transformed! This interactive course comes complete with an Instructor, textbooks, workbook and either CD or DVD sessions (your choice). It is everything you need to ensure you will indeed learn to easily and daily hear God’s voice! Take action today! Enroll NOW in this CLU correspondence course! Enroll in Christian Leadership University and on your application form order the Communion With God course. Learn all about Christian Leadership University here. You will deeply integrate life-transforming skills by enrolling in Christian Leadership University and ordering the course listed above. CLU offers over 100 courses to students in 115 nations around the world. Please view CLU’s website and complete online catalog. When you enroll you are assigned an instructor/coach who will help you internalize these truths through your committed accountability relationship with them. You are guided in focusing intensely for three months on the spiritual discipline involved with each specific training experience. This gives you time to receive revelation from God, establish new spiritual disciplines and ensure that your life is permanently transformed in this area so it will produce a bountiful harvest in your life! Read Real-life Testimonies from CLU students whose lives have been changed! What is the uniqueness of Revelation-Based Learning? How could I create a Revelation-Based Learning Group in my home or church? How can I create a School of Ministry in my church which offers these courses? Where can I post my group to an online map?